Once upon a time, the Sun used to take the shape of a young man and descend on Earth to dance among folk people. A dragon found out about this and followed the Sun on Earth, captured him and confined him in a dungeon in his castle. Suddenly the birds stopped singing and the children could not laugh anymore, but no one dared to confront the dragon. One day a brave young man set out to find the dungeon and free the Sun. Many people joined in and gave him strength and courage to challenge the mighty dragon. The journey was long and lasted three seasons: summer, autumn and winter. At the end of the third season the brave young man could finally reach the castle of the dragon where the Sun was imprisoned. The fight lasted several days until the dragon was defeated. Weakened by his wounds the brave young man however managed to set the Sun free to the joy of those who believed in him. Nature was alive again, people got back their smile, but the brave young man could not make it through spring. His warm blood was draining from his wounds in the snow. 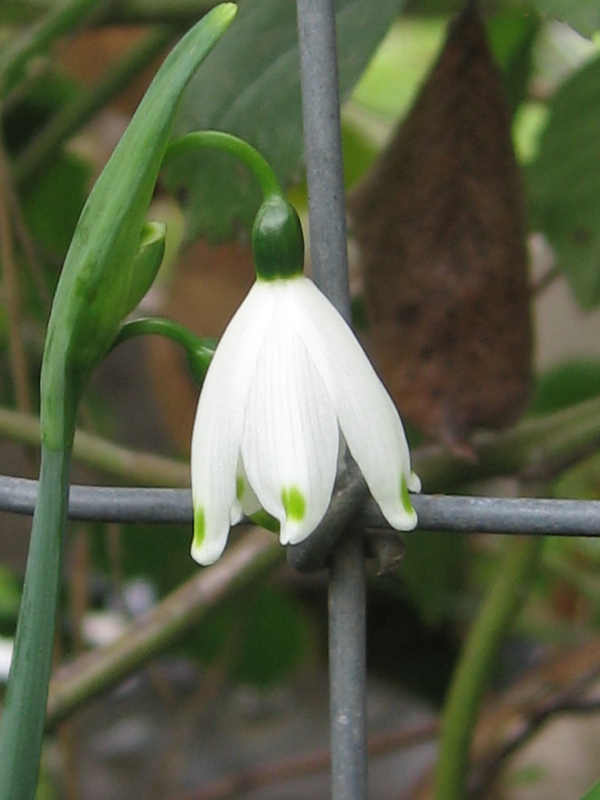 With the snow melting, the snowdrops, harbingers of spring, sprouted from the thawing soil. When the last drop of the brave young man’s blood fell on the pure white snow he died with pride that his life served a noble purpose. Since then people braid two tassels: one white and one red. Every 1st of March men offer this amulet called Mărţişor to the women they love or friends. The red color symbolizes love for all that is beautiful and also the blood of the brave young man, while white represents purity, good health and the snowdrop, the first flower of spring. Entry filed under: .en, .pdf, .Romania, .spring, .sun, .translation, Mărţişor. Tags: Mărţişor.